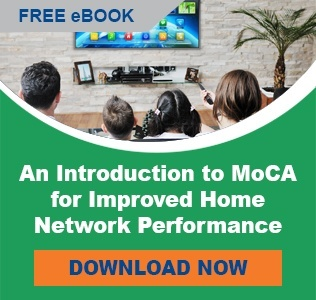 PPC’s Passive MoCA Portal provides cable network connectivity to broadband devices, such as a DVR and modem, while connecting MoCA devices to the DVR through an isolated internal network. Since all ports are in one row, troubleshooting with subscribers and installers is easier. For example, they can be instructed to connect the DVR’s cable to the “third connector from the left” rather than more complicated directions with ports that are stacked in several rows and columns.